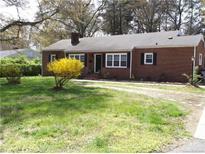 Below you can view all the homes for sale in the Roland Park subdivision located in Gastonia North Carolina. Listings in Roland Park are updated daily from data we receive from the Charlotte multiple listing service. To learn more about any of these homes or to receive custom notifications when a new property is listed for sale in Roland Park, give us a call at 704-702-0922. HURRY up & call your agent to set an appointment to see this home-It will not last long! MLS#3494527. Choquette Properties Inc. This truly is a hidden gem! MLS#3496746. L&E Properties. All buyers and buyers agents to confirm all information deemed important to agent and buyer! MLS#3491114. Keller Williams Fort Mill.